All2ools.com is selling these Wiss MPX 10-1/2″ compound-action all-purpose shears for $14, although they’re waiting on stock. You can get a slightly less-good deal from ANTOnline or Amazon. 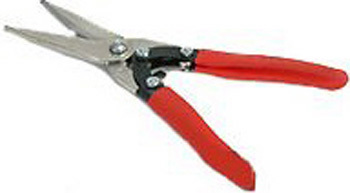 These shears see a lot of action around my shop, cutting sheet metal, leather, and — best of all — clamshell packaging! They’re like scissors on steroids.